80% cotton, 20% polyester. 94.3 hand stitched logo. size women's XL. 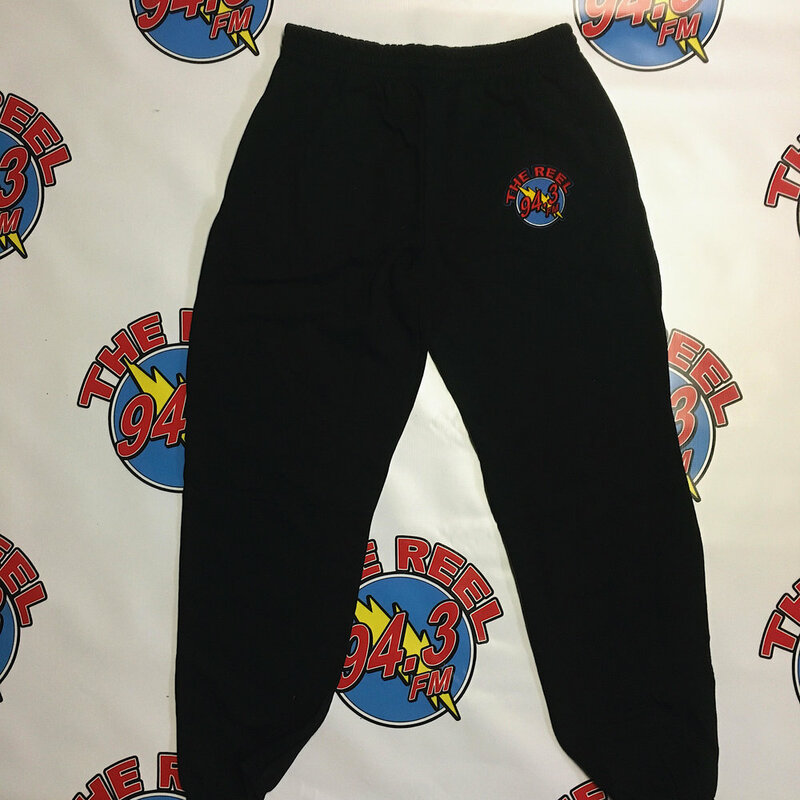 black sweats with hand-stitched 94.3 logo. size large. true red. hand stitched 94.3 logo. size medium.